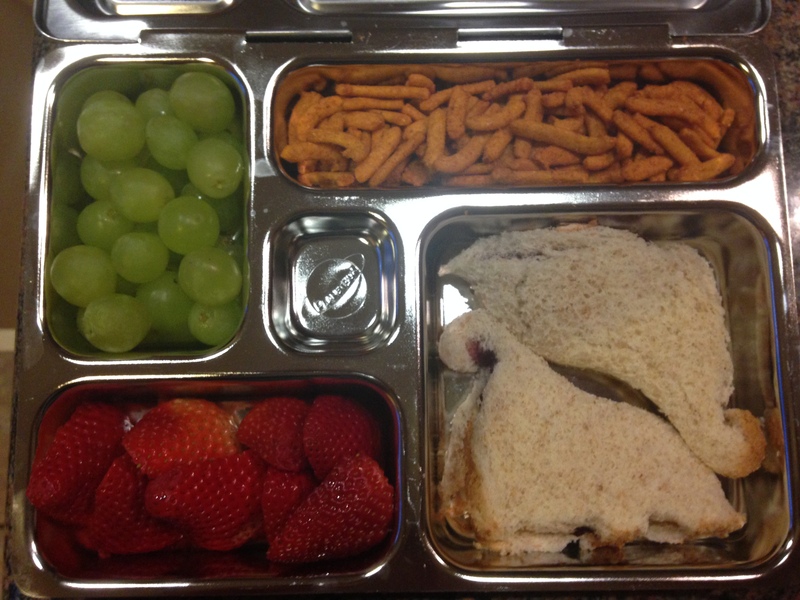 Hailey’s Fun Lunches With PlanetBox | I am JuJu! When Hailey went back to school last fall after a year of being homeschooled, the thing I was least looking forward to was packing a daily lunch. Hailey goes to a small, private school and they do not serve hot lunches as they do not have a contract with the school district. I knew that I needed to find a way to make packing her lunch easy and fun, so I did some research and discovered the PlanetBox. My initial thought was “Wow! Those are expensive!”, but I decided to go ahead and take the plunge. Hailey has the Rover Complete, which includes the Rover lunchbox, the Big and Little Dipper for messier foods, a set of magnets for the outside of the box, and the Rover Carry Bag. I did not get the cold pack as I already had something that would work. Hailey was pretty stoked when it came in and I have to say, packing lunch for her is simple and fun. I was concerned the first day of school whether or not this would be enough food or too much food, but when she came home she said that it was the perfect amount of food. Score! 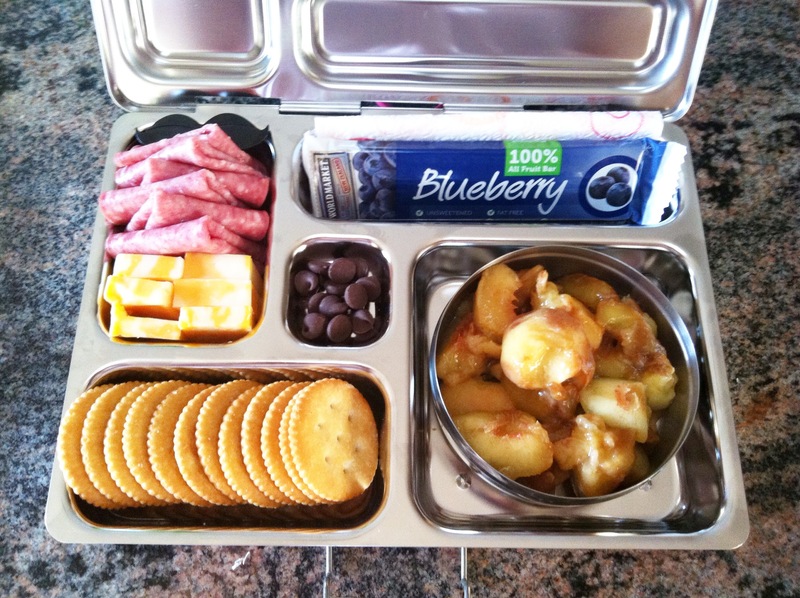 Build Your Own Lunchable, Fresh Peaches, Blueberry fruit bar from World Market, and a sprinkle of chocolate chips. Caesar Salad with chicken (dressing is in the little container), grapes, peanut butter & homemade peach jam sandwich, Santa Fe Stix from NatureBox, & a sprinkle of chocolate chips. 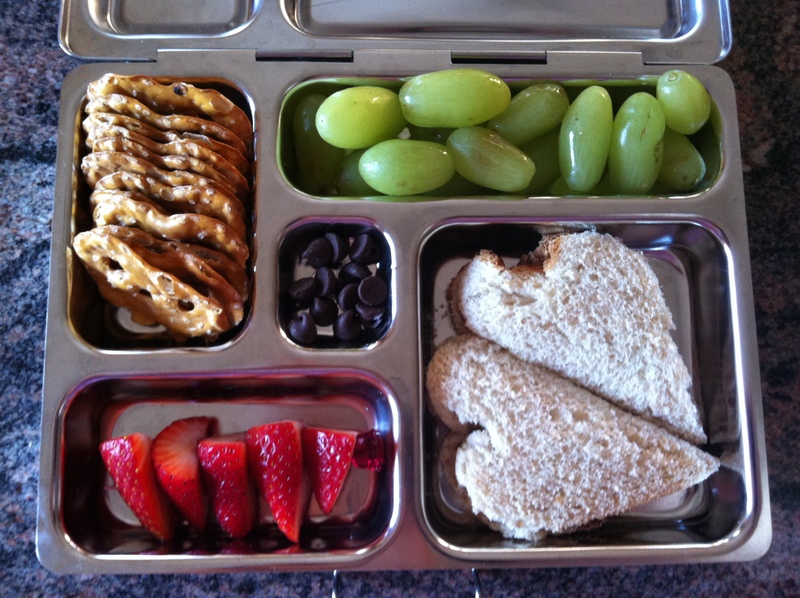 Heart-shaped peanut butter & peach jam sandwich, strawberry slices, grapes, pretzel crisps, & chocolate chips. By now you can see that grapes & strawberries are Hailey’s favorite fruit. She also loves to have her sandwiches cut into cute shapes. 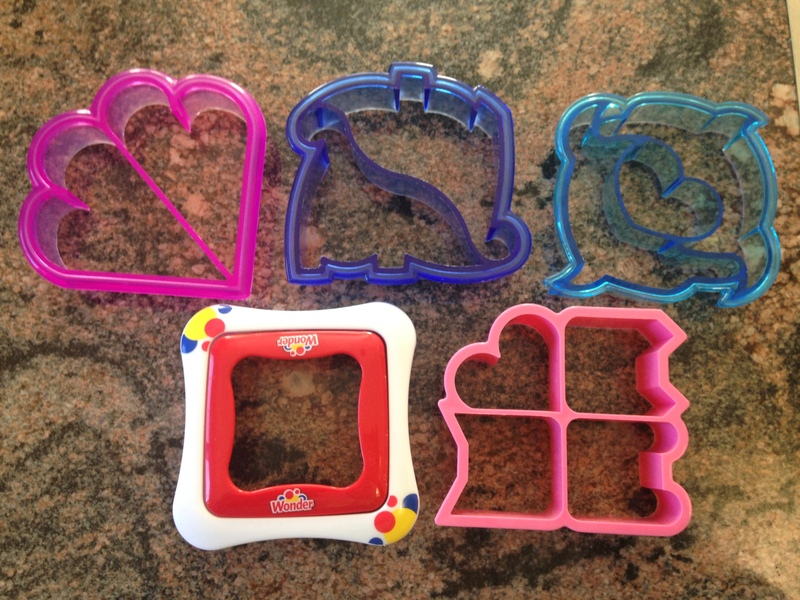 I have a selection of fun, sandwich cutters. Most of them I got from Wal-Mart. They hang on a little strip in the bread isle. The four-shaped pink cutter came from this etsy shop and the Wonder cutter/sealer came from Amazon. We recently tried a pesto chicken wrap at Costco and Hailey loved it, so she asks for that a couple of times a week. The tortilla fits perfectly in the large section when cut in half. Hailey’s favorite day of lunch is the once-a-week treat of chicken nuggets. I use the Tyson’s chicken nuggets with no preservatives or fillers. The little container holds ketchup. I just put the nuggets in frozen and she has access to a microwave to heat them up. Obviously, Hailey’s lunches could be healthier, but I don’t claim to eat 100% whole foods. 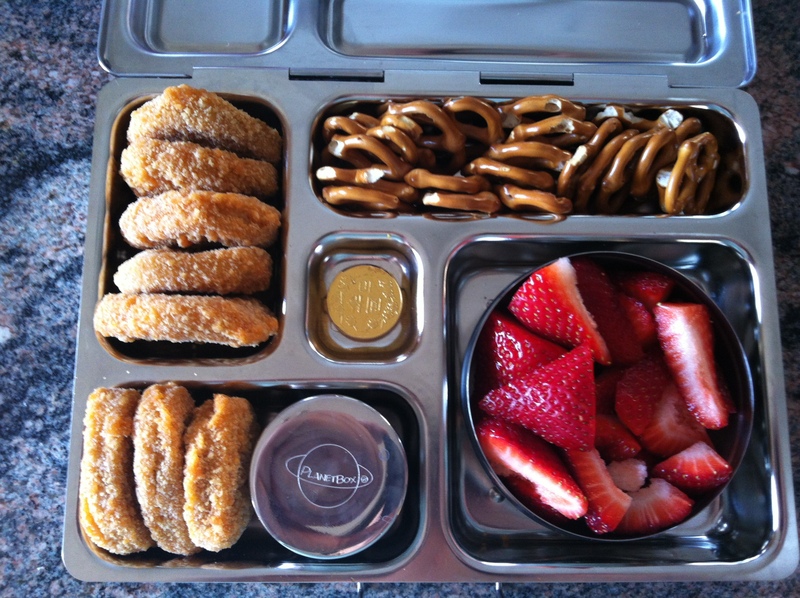 I use natural peanut butter and homemade jam for her sandwiches, lots of fruit, and healthier snacks through NatureBox. However, she does get regular bread, chicken nuggets, and occasional treats. 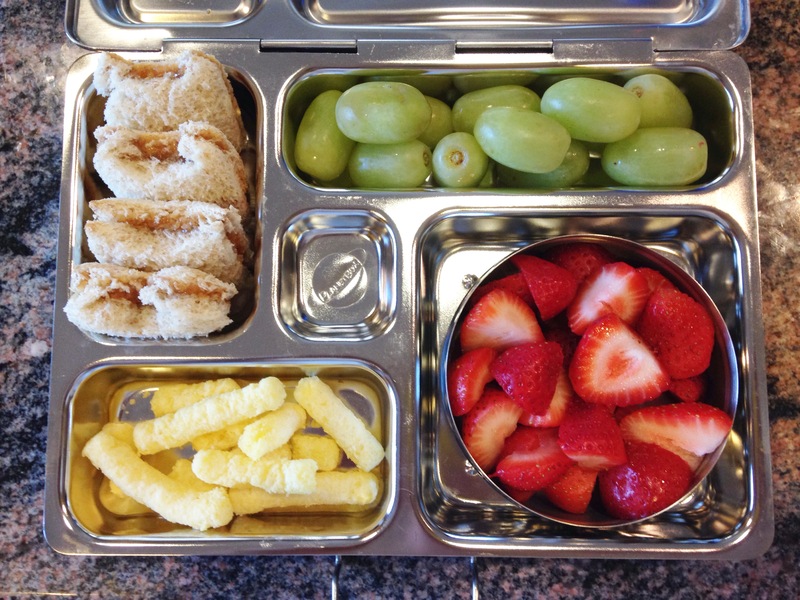 Her lunches have vastly improved from even two years ago when she either bought lunch several times a week or I sent a sandwich, chips, cookies, and a juice pouch. All this to say that we are improving day by day. I do enjoy reading several sites that send only healthy, all-natural, whole foods with their kids. That’s fantastic if you can do it, but I’m not going to shame myself or anyone if you can’t do that every day. I do the best that I can and I’m teaching both of my girls that it is okay to have most things in moderation. It’s all about balance! So there you have it! 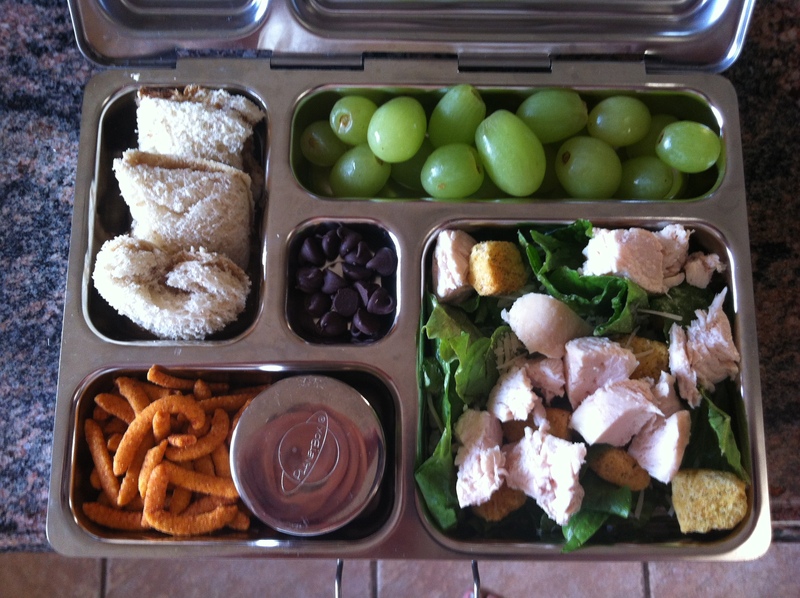 Our fun and easy way to pack lunch for Hailey. I love PlanetBox! We will definitely continue to use the same Rover Box next year. It is durable, can be washed in the dishwasher, & holds the perfect amount of food for Hailey. I also am not using and throwing away multiple plastic bags each day, so it is much better for the environment. Do you have a PlanetBox? I’d love to hear your thoughts. *This is not a sponsored post. I was neither asked nor paid by PlanetBox to write this post. I just love to share products that our family loves and that make life easier for us. 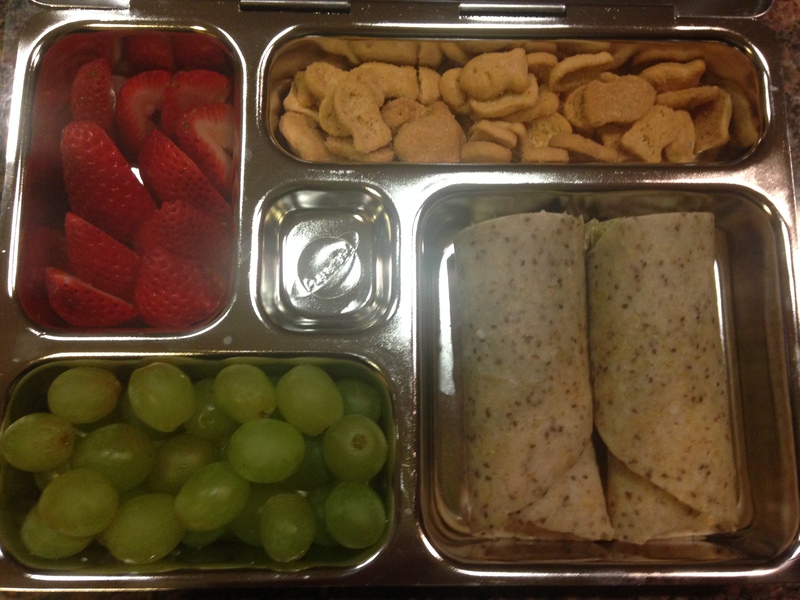 This entry was tagged Bento, everyday life, fun lunches, lunchboxes, PlanetBox, PlanetBox Rover, Rover Box Complete. Bookmark the permalink.